DAS Direct Access Motorcycle Training in Swinton, Salford and Eccles. Direct Access motorcycle training (DAS) in Salford, Eccles and Swinton with FORCE RIDER Training we carry out DAS training 7 days a week at our purpose built training site between Farnworth and Bolton. Direct Access or DAS is a scheme which allows a person over the age of 21/24yrs to avoid the two year / 25 kW restriction by taking a test on a machine of at least 40 kW (54.6 bhp) generally a 600 or 650cc machine. After passing the DAS tests you are allowed immediately to ride any size of motorcycle. Any training or instruction using a machine with an engine capacity greater than the normal 125cc learner motorcycle specification can only be given by a certified motorcycle instructor who is qualified to DAS level. DAS Maximum Trainee / Instructor ratio: 2:1. Module 1 will take on average 22 minutes and is conducted on a purpose built site. The examiner will assess your control of the bike. Module 2 of the test will last approximately 57 minutes and will consist of an eyesight test, at least two road safety questions, and one pillion related question. You will then undertake at least 30 minutes of road riding. 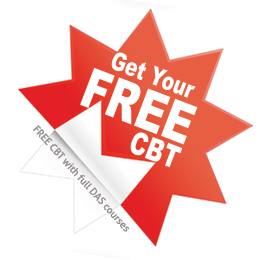 Thats right – read it again – Here at FORCE RIDER Training we are now offering FREE CBT (compulsory basic training) with any full 6 day DAS (Direct Access Scheme) course you book with us. With our purpose built and private motorcycle training site near Bolton we have become the place to go if you want to learn how to ride a motorcycle or moped/scooter. This has allowed us to pass on some fantastic deals on learning to ride a motorcycle by giving away FREE CBT to anyone who books the full 6 day DAS course. Bolton Motorcycle Training School FORCE Rider Training carry out CBT courses 7 days a week at our purpose built training site close to the centre of Bolton. This site was designed specifically for motorcycle training with road markings, junctions etc (we do not use car parks or school playgrounds neither do we share bikes to train on,). We can also supply the bike, and equipment (helmet, jacket, gloves, waterproofs) if required and that’s from a genuine discount price from £90. At FORCE Rider Training you will never see a ratio more than 2 Trainees to 1 Instructor for on-road training, anymore than 2 is illegal. So why not get in touch and let us help you pass your CBT. Advanced Motorcycle Rider Training with FORCE RIDER Training, the only rider training school in the North West with 3 Police Advanced Instructor qualified Trainers, (2 recently retired and 1 still serving Instructor) ALL are not merely Class 1 Police Advanced Patrol Riders and Drivers but were actually qualified instructors within the Force. If you seek to learn the skills to be a true Advanced Rider or improve your current ability then give us a call. We can train you and then help arrange tests with any of the several Advanced testing authorities, on the way to your Advanced qualification we can also offer a second certified qualification through the Driving Standards Agency ERS scheme (Enhanced Rider Scheme), for those riders who currently hold the respected RoSPA Advanced qualification or the IAM or DIA awards, we can help you raise your ability to target the coveted GOLD or DIPLOMA awards within RoSPA. 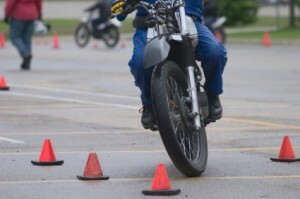 Direct Access motorcycle training (DAS) in Bolton. FORCE RIDER Training carry out DAS training 7 days a week at our purpose built training site between Farnworth and Bolton. Direct Access or DAS is a scheme which allows a person over the age of 21 to avoid the two year / 25 kW restriction by taking a test on a machine of at least 40 kW (54.6 bhp) generally a 600/650/700 cc machine. After passing the DAS tests you are allowed immediately to ride any size of motorcycle. Any training or instruction using a machine with an engine capacity greater than the normal 125cc learner motorcycle specification can only be given by a certified motorcycle instructor who is qualified to DAS level. Module 1 will take on average 18-22 minutes and is conducted on a purpose built site. The examiner will assess your control of the bike. Direct Access motorcycle training (DAS) in Manchester, Lancashire and North West area with FORCE RIDER Training who carry out DAS training 7 days a week at our purpose built training site between Farnworth and Bolton within easy access of ALL major road networks, bus and train connections. Direct Access or DAS is a scheme which allows a person over the age of 21/24yrs to avoid the two year / 25 kW restriction by taking a test on a machine of at least 40 kW (54.6 bhp) generally a 600/650/700 cc machine. After passing the DAS tests you are allowed immediately to ride any size of motorcycle. Any training or instruction using a machine with an engine capacity greater than the normal 125cc learner motorcycle specification can only be given by a certified motorcycle instructor who is qualified to DAS level. If you are in Bury, Bolton, Wigan and are looking to take your CBT motorcycle training then why not contact us on 01204 399 710 and speak to us today. Bolton Motorcycle Training School FORCE Rider Training carry out CBT courses 7 days a week at our purpose built and private training site, we are 10 minutes away from Bury, based between Farnworth and Bolton. This site was designed specifically for motorcycle training with road markings, junctions etc (we do not use car parks or school playgrounds neither do we share bikes to train on,). We can also supply the bike, and equipment (helmet, jacket, gloves, waterproofs) if required, prices are from £90. At FORCE Rider Training you will never see a ratio more than 2 Trainees to 1 Instructor for either On or Off-road training, (anymore than 2 for on-road training is illegal). So why not get in touch and let us help you gain your CBT. Looking to pass your CBT and live in Salford, Swinton or Eccles areas? Why not visit Force Rider Training we are just around the corner from Salford and our Bolton Motorcycle Training School carry out CBT courses 7 days a week at our purpose built training site close to the centre of Bolton. This site was designed specifically for motorcycle training with road markings, junctions etc (we do not use car parks or school playgrounds neither do we share bikes to train on,). We can also supply the bike, and equipment (helmet, jacket, gloves, waterproofs) if required and that’s all from a discount price from £90. Salford CBT Training Available to You at Our Training Centre. CBT Training for Swinton, Salford and Manchester at discount prices 7 days a week.